BRL Test is your authorized SAF Tehnika Distributor. Spectrum Compact J0SSAP11 is an ultra-light and easy to use measurement solution for the 5.925 - 12.000 GHz licensed microwave frequency bands. 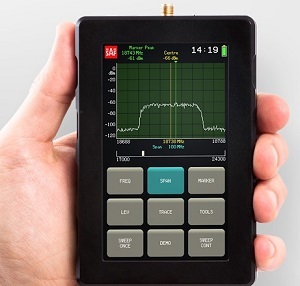 This instant on, handheld analyzer is a must-have tool for any microwave radio engineer performing equipment installation, link troubleshooting, antenna alignment and site planning. 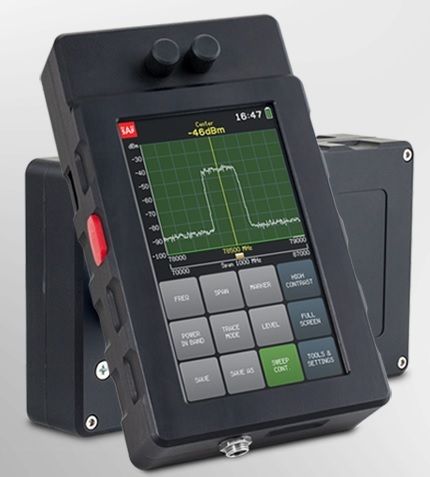 The LCD touchscreen ensures smooth and intuitive onsite use, and the SMA connector* allows the Spectrum Compact to integrate with any vendor?s antenna or waveguide system. Not much larger than a modern smartphone, it is designed specifically for comfortable outdoor use in a variety of challenging environments. Industry leading -105 dBm receiver sensitivity in all frequency range allows you to discover even weakest signals. Can be used with any manufacturers antenna and radio system. Resistive LCD touchscreen allows to leave your gloves on while operating the unit. Intuitive UI makes it easy to control the unit. No laptop or other equipment is required for on-site use. Upload, save, compare, analyze and print your saved spectrum scans using free PC software. SC users are often surprised, how easy it is to do site audits with the SC, to verify installed base of radios and if license conditions are met. It is done from the ground level by pointing a sensor antenna towards antennas on the tower. No need to climb towers or use bulky laboratory-grade equipment. 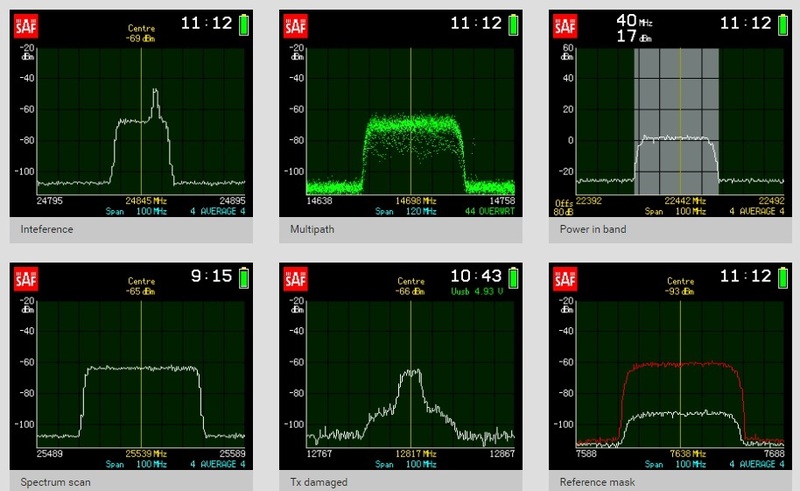 - scanning all installed radios in a given band or across several radio bands.